A magical place for a fairytale wedding, the Macchiaroli Castle brings to life the beauty of ancient times with 12th century architecture, and panoramic views of the Italian countryside. 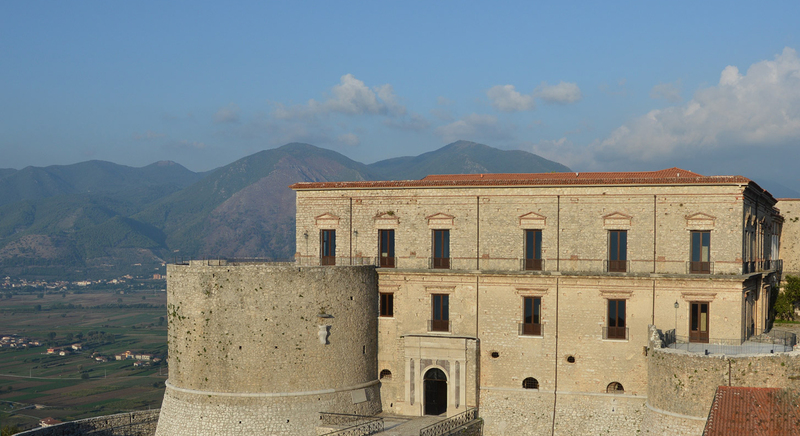 The Macchiaroli Castle can accommodate exhibitions, meetings and conferences. It is equipped with state-of-the-art, professional equipment to guarantee the success of every event. The Castle’s open-air stage is the perfect setting for concerts and theatrical performances. With incredible views of the stars and skyline, the venue has welcomed renowned artists from around the world. 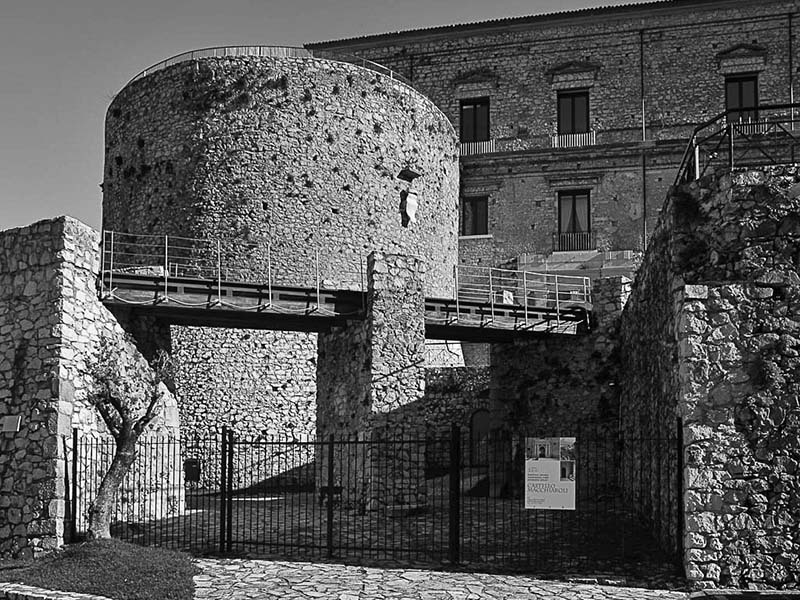 The Macchiaroli Castle, built in Norman times, belonged to the princes Sanseverino and was the center of great historical events. After a magnificent restoration, the Castle now hosts receptions, exhibitions, cultural events, conventions, and major events. The wonder of its majesty, the extraordinary panorama of its towers, the secrets walkways of war, make the Castle the perfect location for your event. Macchiaroli Castle is easily reachable from the Gulf of Naples, the Amalfi Coast, and the regions of Cilento and Basilicata. 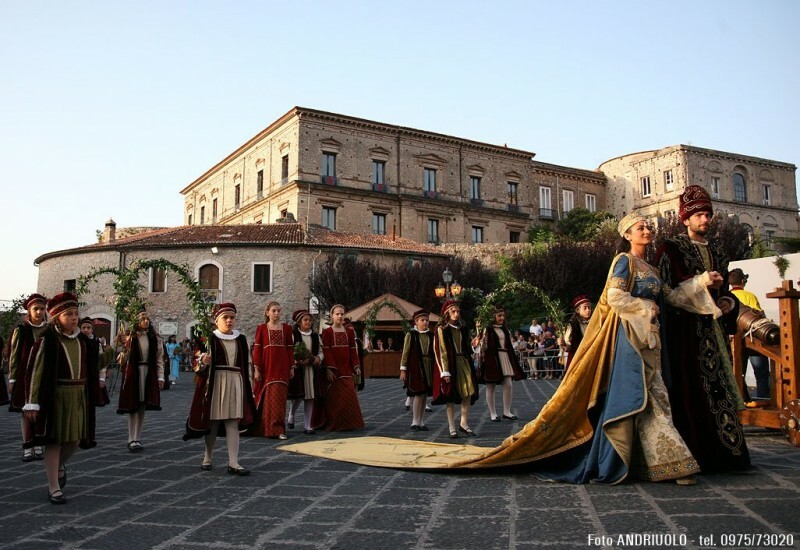 The Castello Macchiaroli host numerous cultural and historical events, such as the re-creation of the medieval festival ‘Alla Tavola della Principessa Costanza’. Every year in the summer time thousands of tourists arrive to Teggiano to assist at the historical parade with people dressed in medieval costumes. The streets are full of taverns where you can enjoy the tipycal medieval dishes. The climax of the event is the assault and siege the Castle, as a result of the tax revolt of 1497, which after a long battle with medieval solgers and arms, ends with a spetacular display of fire works. Nessun materiale può essere riprodotto senza autorizzazione.